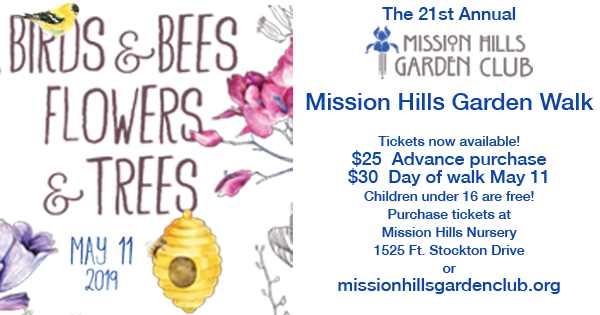 More infoMission Hills GARDEN WALK Tickets Available! 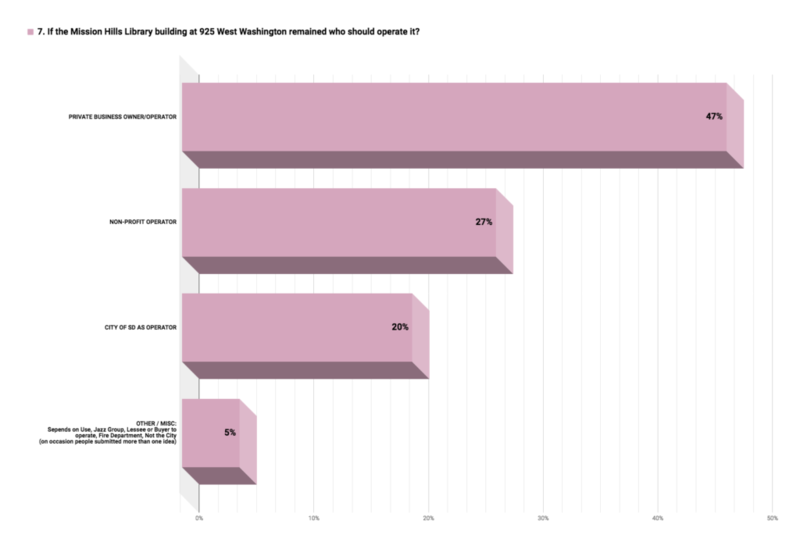 Thank you for taking the time to complete the “Tell Us How You Really Feel” Library Site Survey. Our Councilmember Chris Ward is providing the community based organizations and the greater community of Mission Hills with a unique opportunity to lend a voice to the future use of the site where the current/old library is located. 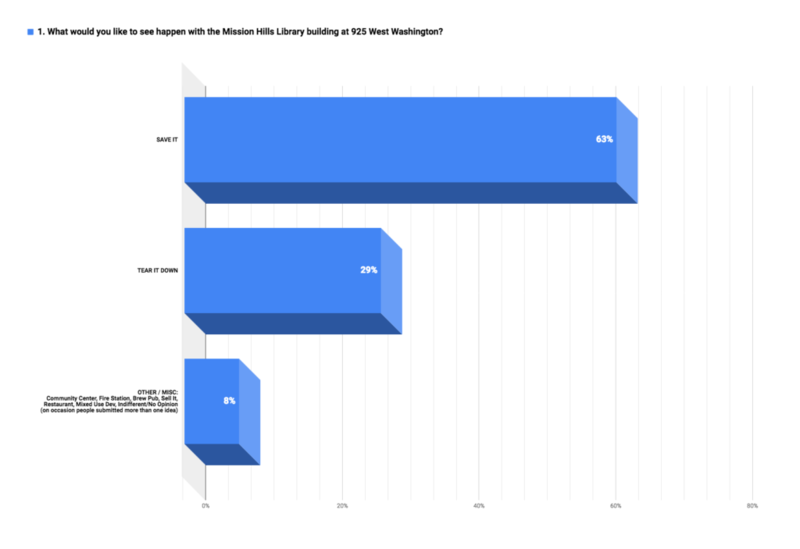 Councilmember Ward shared the City’s Real Estate Assets Department has/had targeted the old library for demolition and planned to leave an asphalt lot for parking. 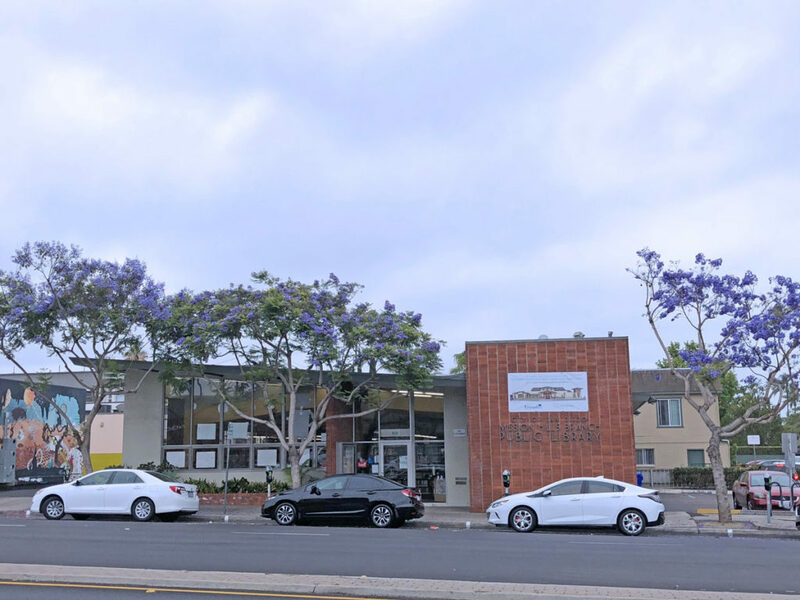 The Councilmember intervened in order to ask the community of Mission Hills what it wants to see happen and he will play an active role in what is included in the Request For Proposal (RFP) issued from the Real Estate Assets Department. He and his staff committed they have an open mind on this matter. 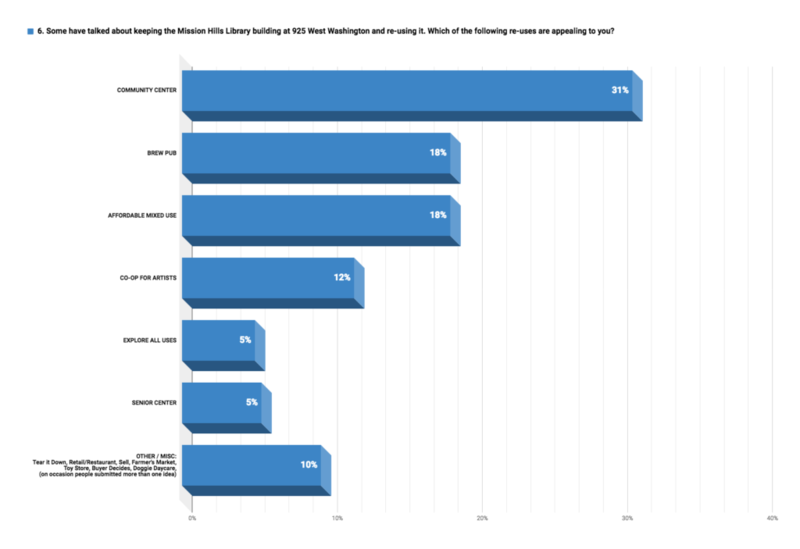 The BID developed a survey. 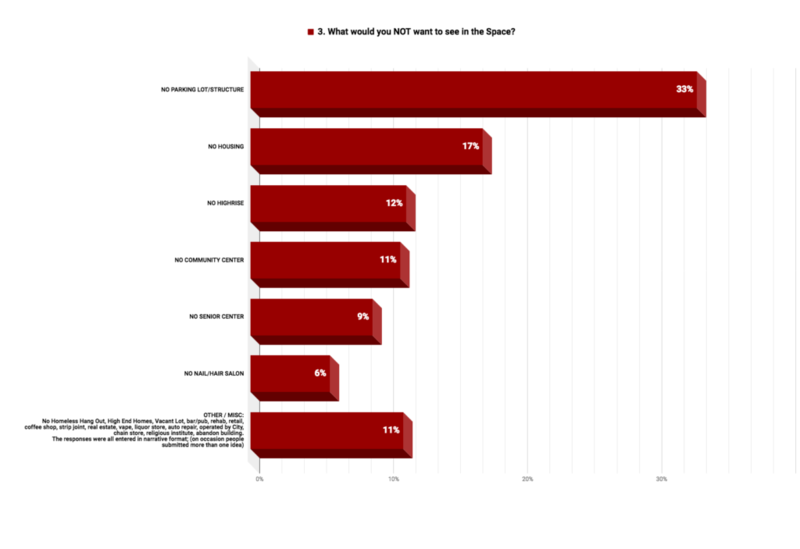 The survey began on July 1 and concluded on Saturday July 21 at midnight. 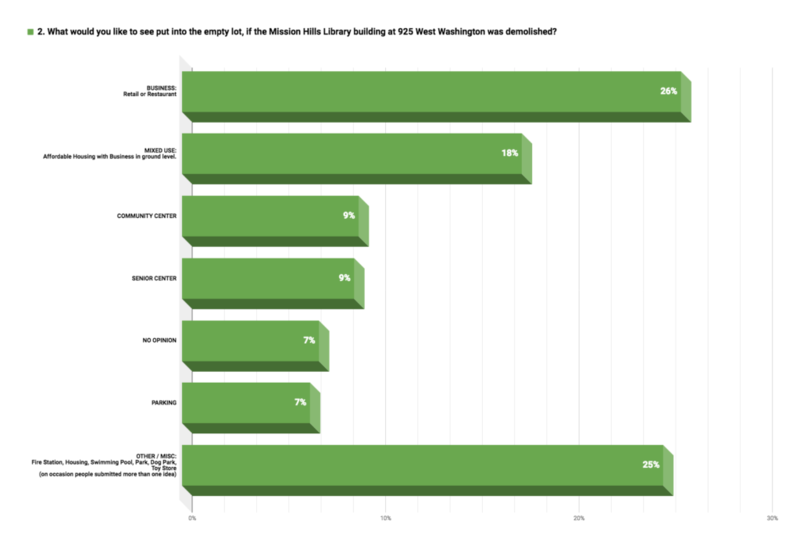 There were 438 respondents. With neutrality and transparency in mind, Councilmember Ward’s staff joined the BID in reviewing ALL of the responses over several hours. The Mission Hills BID will discuss the future use of the Library site at its September committee and board meetings and the Mission Hills Town Council will consider the matter during its October Town Hall meeting. Other community based organizations will also be considering the future of this site. 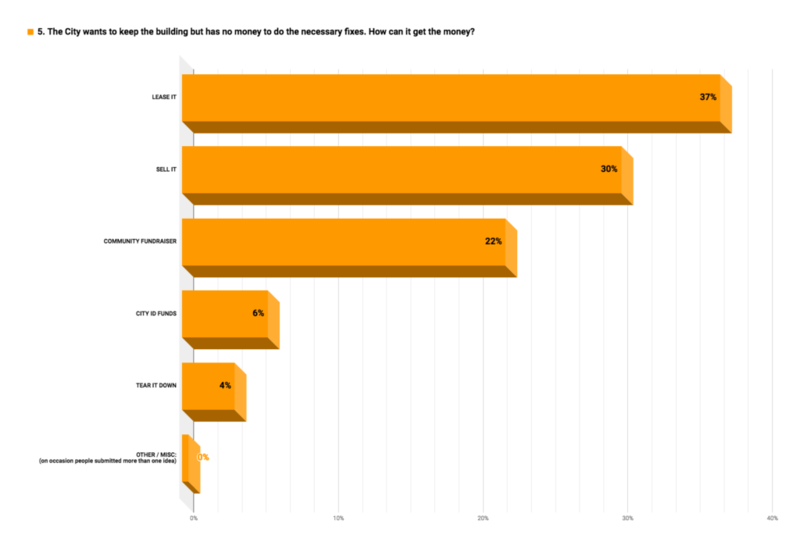 Since the launch of the survey on July 1, the BID has been contacted by several people who were interested in sharing their thoughts and asking questions. Some mentioned they may be interested in purchasing the site. No matter their perspective, each believes we have a unique opportunity. 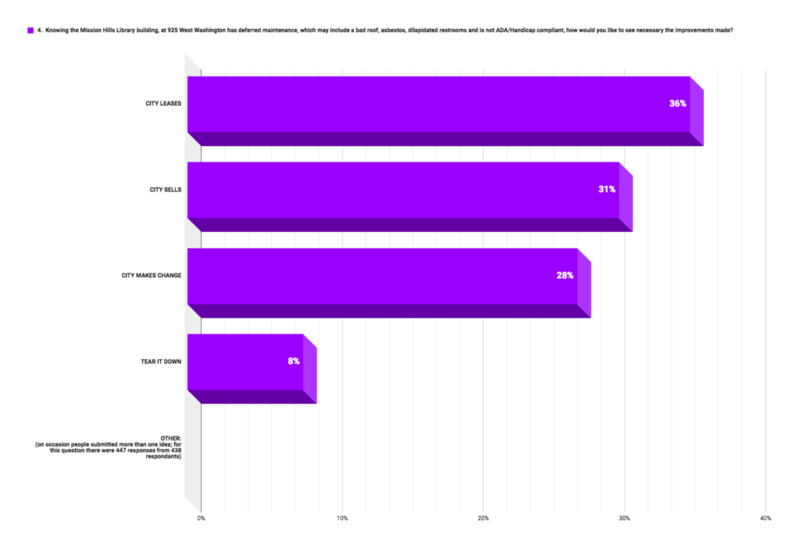 Please take a look at the survey results and reach out to Councilmember Chris Ward at christopherward@sandiego.gov to personally share how you really feel. Click the images below to view a larger version. Alternatively, you may click here to download a PDF version of the charts. Are you a Mission Hills business and would like to be a sponsor? Contact us. 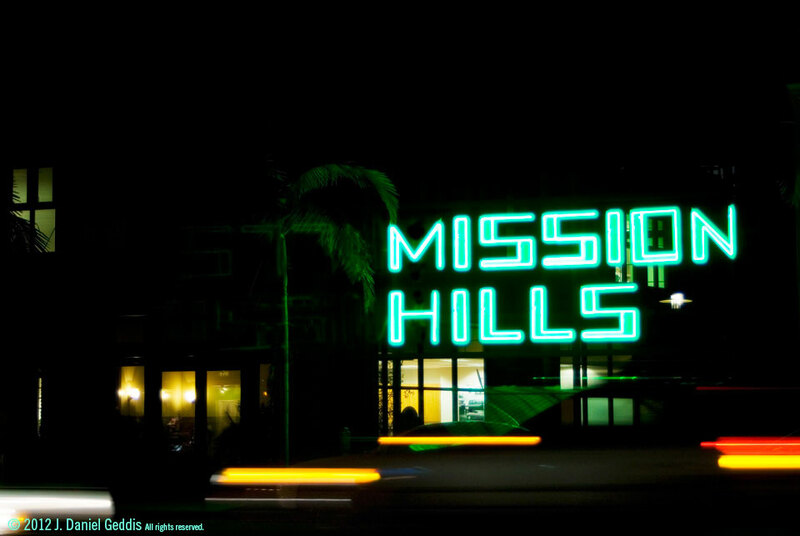 Welcome to Mission Hills Business Improvement District! 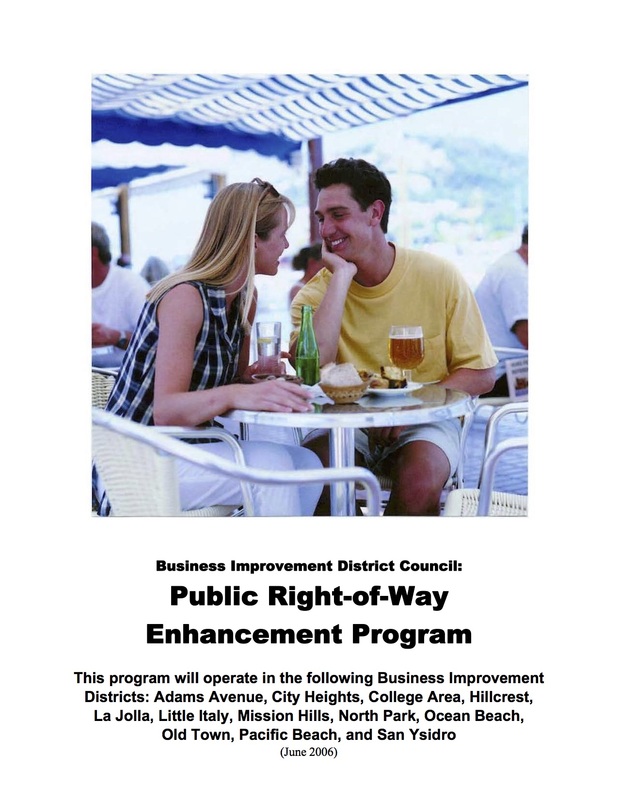 Copyright © 2019 Mission Hills Business Improvement District. Promotional materials partially funded by The City of San Diego's Small Business Enhancement Program.